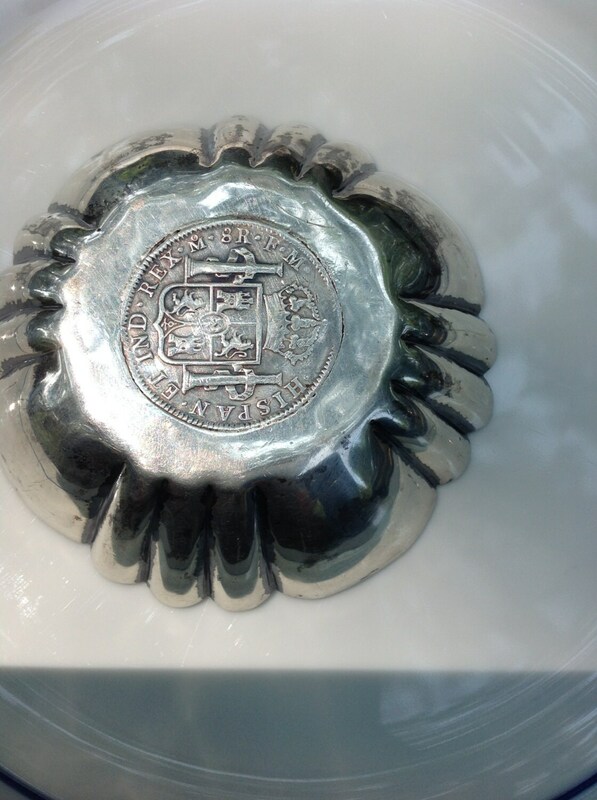 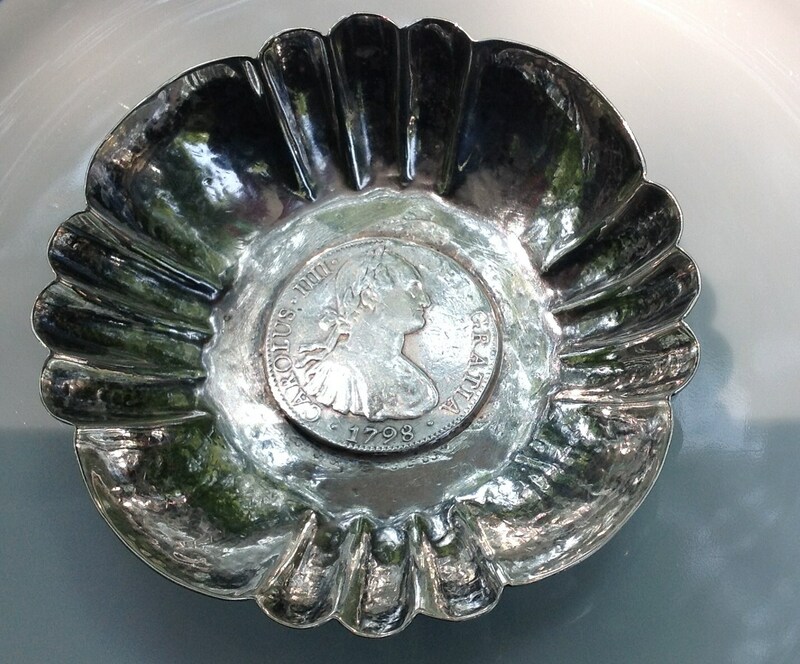 An exciting hand made hammered Mexican silver bowl set with a 1798 Spanish doubloon. 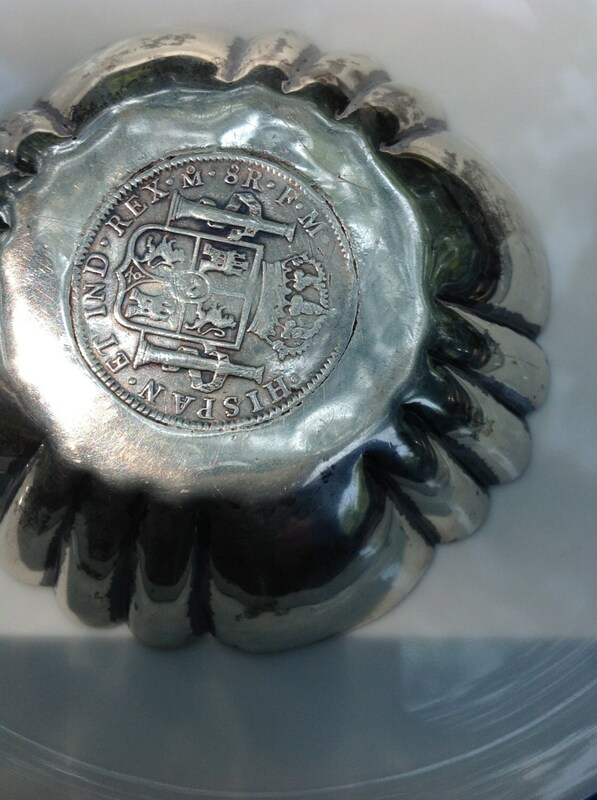 The coin dates to 1798 with a Mexico City mint mark and assayer mark 'FM'. 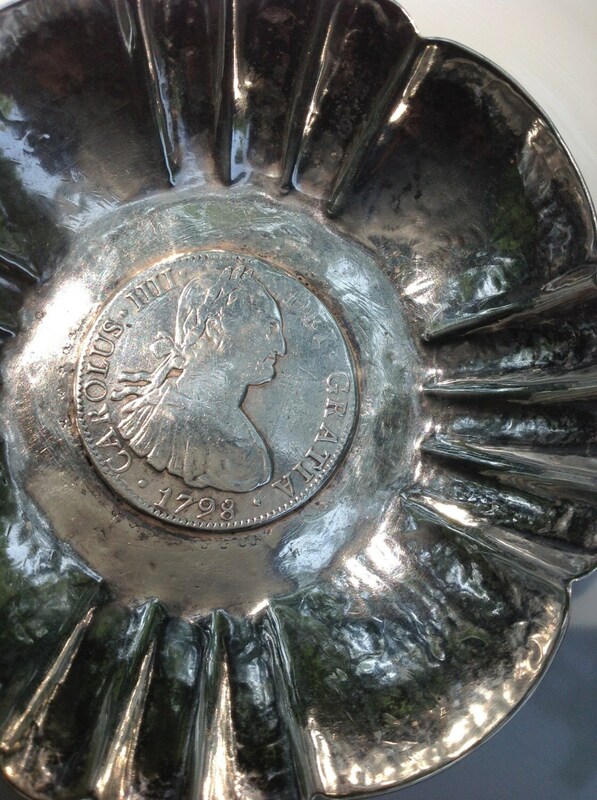 This item is certainly pleasing to the eye with its take on Queen Anne scalloped edges. 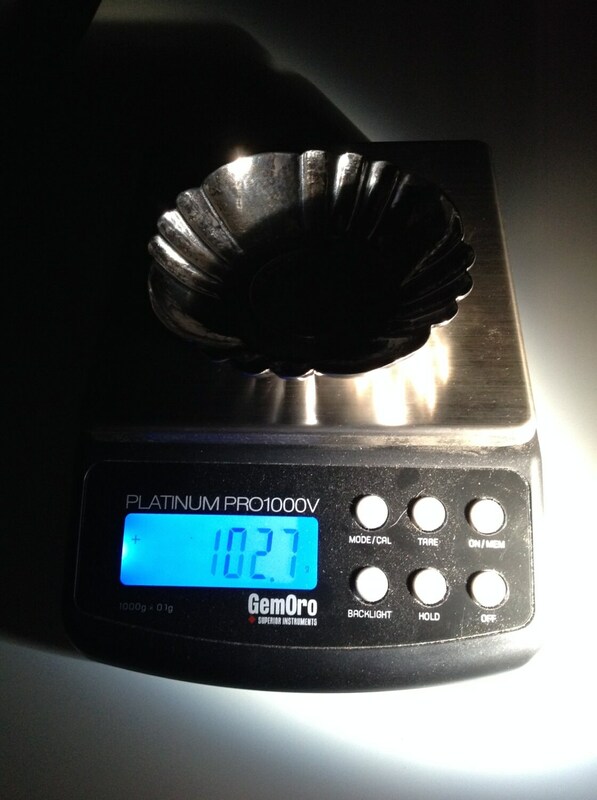 Silver is a heavy gauge and it's clear that this item took a skilled man many hours to produce.